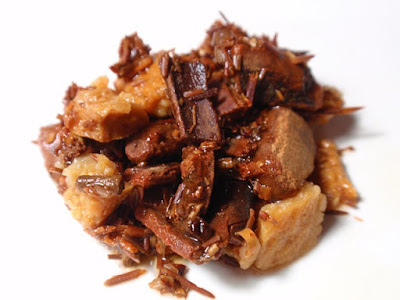 The dry leaf blend contains rooibos, cinnamon, orange peel, and cloves. 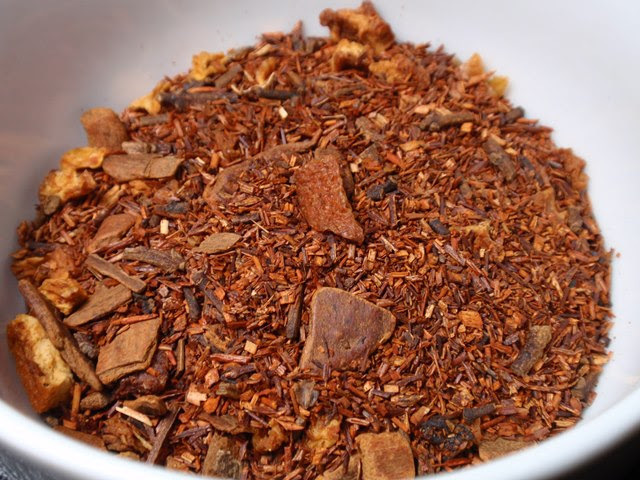 The copper red infusion has a bold aroma of cinnamon, cloves, and a faint note of citrus. The taste is sweet with bold notes of cinnamon and hints of clove, citrus, and vanilla, with an invigorating cinnamon finish. The full flavor, which reminded me of Red Hots or Cinnamon Imperials (childhood favorite candies), is at its best in the first infusion, so re-steeping isn't worthwhile. 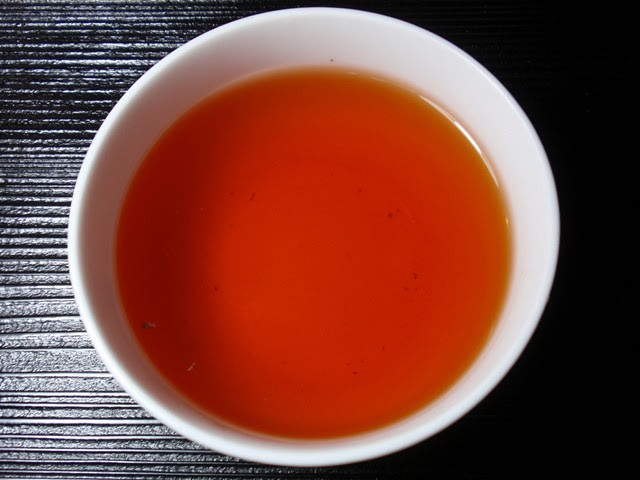 Though I measured by weight for the purpose of the tea review, the spices make up much of the weight, so I would recommend measuring by the teaspoon for best results.